She was new to England. An arranged marriage meant leaving her comfortable, happy childhood in the Punjab. 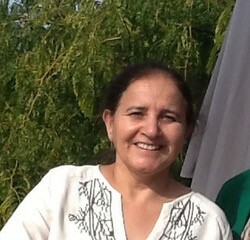 She and I have learnt from each other during the subsequent years, sharing journeys over rocky ground. The Group Ranjit describes in her Tale, was one of numerous face to face encounters during her working life. Loving yourself was not only unknown concept for all the members of the group; they lived most of their life hating themselves. Everyone had their own reasons for self-condemnation. They have been through so much pain of living with addictions, sexual abuse, life in prison, children been taken away and eviction notices due to debts. When I tried explaining the philosophy of Louise Hay’s work, I got such a blank look and I was asked who this lady is and how can they love themselves when nobody ever showed any love to them. My immediate thought was no one is going to turn up next week and it took me so long to convince my manager to run this programme and it’s going to end before it starts. Somehow when I looked at the mood of the group. I said next week it would be PIZZA and video day. I showed video of Louise Hay telling her story of being abused as a child, teen age mum, not having any money, heart breaks and then suffering from cancer. Then by changing her thoughts and loving herself she cured herself from cancer without any medication and wrote the book ‘You can Heal Your Life’. The group immediately related to that and started enjoying the programme. Then we started work on affirmations and we all wrote our dreams on the board. I said I would like everybody to meet Louise Hay one day. 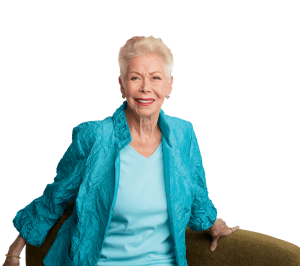 Louise Hay was nearly 85 years old and had stopped running any workshops or travelling abroad. To my surprise I received an email from the Trainer of the ‘Heal your Life’ programme from U.S.A. that Louise Hay was coming to London to do two-day seminar on ‘You can create an Exceptional Life’. I booked myself on the programme. On the day, I started at 7.00.am to get in the central London by 9.00 am. Throughout the morning I kept thinking ”how could I bring my ladies to meet Louise Hay”. During lunchtime there was a long queue for book signing, I asked the lady who was my trainer, if my group members can come tomorrow and meet Louise Hay. I was told that Louise Hay gets very tired and tries to rest and would not be able to meet the ladies. The suggestion was that I could bring a card signed by the ladies, which she would pass it on to Louise Hay. I was disappointed but not completely gave up the idea. I bought another copy of her book and stood in the queue for autograph. While waiting in the queue I took piece of paper and wrote the description of my group and the work we did and how much that has helped and when I got near the stage, gave it to her manager. She gave it back to me and asked to talk to the lady standing on the bookstall. I went to the lady and again told the story of the group and if she could arrange ten minutes tomorrow during lunch time. She said she would try – and I can ask the ladies to come at 12.00 midday. I came back home at 5.30 in the evening, and started ringing the group members. I had very dampened response – they did not have money to travel and it was very short notice except one member who was very keen. I went to the cash point, got some money out and gave it to that member and asked her if she can organise and bring other members also. I went to attend the workshop next day in the morning and spoke to the person in charge of the group and explained how to get there on time and give me a call and I would be there. I repeated myself how important it is to get in time as it’s only a ten minutes window we have. We had a break at 12.00 for lunch but I got up fifteen minutes earlier than that and went out to receive the ladies. I was trying to ring them to see how far they are, and no one was picking up the phone and no sight of the ladies. I was pacing up and down. Now the time was ten past twelve and I thought ”They are not going to come and there is no chance”. I went into the foyer and my phone rang, it was a call from the group member, five of them were standing outside. When I went out I could not recognise them all dressed up and excited. Now I was not sure if we would be still seen. We rushed to the room back stage and were waiting to see if we still had any chance. No one was there. We waited for few minutes, then her manger came and said “Louise is coming”. Louise came and asked everybody their names, what they do, she gave books with her autographs and took photos – we all were ecstatic. Till today – When I look back to the day I wrote on the board , “My dream is we will all meet Louise Hay One day”. Alan Carr is the man whose IMAGINATION seeded this inspirational four year project. My co-editor Sally and I were honoured to listen for three hours a few weeks ago, to Alan’s open hearted Tale of the four year JOURNEY. The ordinary world. Call to adventure. Refusal of call. Meeting the Mentor. Crossing first threshold Tests. Allies. Enemies. Approaching the innermost cave. Ordeal. Reward of The Sword. The road back. Resurrection. The ordinary world. Returning with the elixir to inform the world. Starting off the conversation, Alan introduced us to his early days saying that he grew up in a working class background and early on, recognised his innate potential to create his own work and future. ‘‘I stayed on at school after 16 because I was mad on sport” he added, “I was no academic but discovered I could lead on the sports field which is where I excelled”. After a number of jobs, he set up his own Estate Agency in Ascot. Here he flourished for 20 years with a wonderful team. His gift was his integrity. Alan always aimed to do his best for customers. He is honest, seeking the good of others. “If I have any attributes, then they centre around my integrity and ability to motivate others”. His ideas activated others with whom he worked when he said he needed to get work done. From the start Alan has set out on a path he deemed the right one for him, at the time. As he continued, he mused on Destiny … ‘‘are meetings meant to be?’’ For sure, Alan recognises an energetic flow between individuals. For sure, he has woven an amazing network of contacts over the years. Not that Alan likes the term ‘Network’. Because he’s so open, he’s like our childhood’s Sparklers. Once ignited, he sparkles. The image of ‘Indra’s Net’ feels a more subtle explanation of Alan’s extraordinary creative process: the potential of KNOWING about inter- connectedness. So after 20 years he put aside his lead role in the Estate Agency. By this time Alan had founded and chaired The Ascot Charitable Trust for several years Their first Ball for over 400 people raised £50,000 for Childline. Over the years there were significant funds raised for a wide variety of charities and the Trust continues to do great work today under new guardianship. Now our man of kindly aspiration was determined to do good work and to create abundance. Abundance of the imagination, risks, cheek, opportunism, persistence, very hard work, determination, gaining respect from the powerful, belief in himself. …working for the good. For 18 years Alan has co- organised a wide variety of inspirational events, sharing the fund-raising tasks. “Always work with others”.  Helped acquire a beautiful white pony called Casper for the Ascot and Windsor Driving School for the Disabled and by strange co-incidence met the person he acquired it from for the first time whilst on an exploratory desert trek through ‘Lawrence of Arabia’s’ Wadi Rum in southern Jordan. Destiny for sure!  Co Founded the Ice Warrior project which trained people to survive in the Arctic. Achieved a world record for getting the first women unaided to the Geomagnetic North Pole and undertook experimental work with the Inuit’s and Cancer Research UK.  Trekked to the Torres del Paine in Patagonia and also helped redevelop remote schools for the poor in Brazil with the Bobby Moore Fund.  Supported Sophie Christiansen, CBE for a number of years and help raise money to buy Janeiro IV which Sophie rode to three Gold medals at the London Paralympic Games 2012 and went on to win three more in Rio 2016.  Run the London Marathon for the MS Society and static rowed half marathons for Cancer Research UK.  Organised and participated in a 58 day Lands End to John O’Groats walk with his daughter, Charlotte and ex Life Guard, Nigel Lewis Baker for Prostate Cancer.  Organised an event in the Kings Room at Kensington Palace for SPARKS in the presence of Princess Michael of Kent.  Alan has been a governor at Swinley Primary where we first met and a Trustee at Heathermount Autistic School and The Riding School for the Disabled in Fulmer. He also had the honour of being Vice-President at Ascot United Football Club which he has always seen as the jewel in Ascot’s crown. As Alan hurtled down this list, he halted to tell us of a project he was humbled to be a part of, Zakk’s First Step, above all others … Helping to fundraise £60,000 five years ago to support a little local boy called Zakk Burks, born with quad cerebral palsy and a number of other ailments to have a specialist SDR operation in the US. ‘‘Now, Zakk stands and walks albeit, aided with a chance to live a life of independence supported by his amazing family and friends. This has been without doubt the most emotive part of my life, apart from my family”. Indeed, Alan referred to his wife Margaret, ‘‘the brains’’, and his two daughters, throughout our talk. Tenderness clear to hear for example when he spoke of his wife’s and family’s journeys and their support to him. So proud of their girls. They so proud of their Mum and Dad. We then arrived at today…. The War Horse Memorial. Inspiration for the venture had been brewing since childhood. Alan’s Grandfather served as a Gunner in the Royal Field Artillery in Ypres, Passchendaele and the Somme: ‘‘an era of great men” Alan said. John Sydney Carr was a Wheel Driver on a six horse gun carriage. Alan’s father Frank was a Bombardier in The Royal House Artillery serving in Egypt. One day, this proud heritage fused with a message from the outer world. The Daily Mail printed a supplement on WW1 – 8 million men killed. No mention of the many more equines that perished or of any memorial existing. What I call “the star-dust moment” took over Alan’s mind. 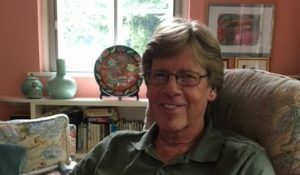 His interest in his Grandfather and Father’s military background and his connections and charitable work in the military and equine worlds came together. He determined to make a unique Memorial to all the horses, mules and donkeys who had been commandeered to service the WW1 fight – 1 million from the UK and a 1,000 horses a day shipped over from the US as well as Australia, New Zealand, India among others. Many died en route to the war front. Only 62,000 returned to the UK from the war. The rest died in action, were used as food fodder or left behind to work in Europe’s revival. The 4 year Journey had begun to create a War Horse Memorial. Alan’s gift for networking now flourished. He spent time searching for great people who could help him deliver his vision. A splendid team came together. *Susan Osborne, a lady of immense talent who was instrumental in merging Imperial Cancer with Cancer Research UK plus other invaluable work with government and the NHS. *Susan Leyland, the sculptor – Alan told us he searched for a long time to find the right artist who would be able to create the vision he had of the War Horse returning home, wearied but still proud. Susan put ‘‘her heart and soul’’ into the project; devoted herself for 3 years to studying horses, 5 sketch books of drawings of all horse types, made number of clay models. Poppy (as the horse was named) would be Susan’s first Monumental sculpture. *Farquhar Ogilvy-Laing gave invaluable advice whilst casting the bronze at his Black Isle Bronze Foundry, in Nairn, Inverness, Scotland. Alan described how he toured the country to find a foundry which would be able to do the bronze and was eventually recommended to Farquhar by the well-known sculptor, Philip Blacker. Alan approached the relevant authorities – Parish, Borough Councils and the Ascot Race Course Authority, who warmly supported the vision. They facilitated the location, an iconically raised mound which would give a fitting vantage place … actually on a traffic island amidst four junctions, next to our long fought-for local hospital. Opposite in Ascot’s sacred Car Park 1 a parcel of land was granted by the ARA for an ‘Area of Reflection’ with seating, planting and indicative boards telling the story of the War Horse and the inspirational catalyst it formed for an ongoing fundraising programme to support military and equine charities. The requisite funding required of £400,000 was raised by a range of fundraising events, private donations, Local Authority grants and support from a national campaign by the Daily Express. Special mention must be made of Tony Pidgley CBE, Chairman of The Berkeley Group who has provided exceptional personal philanthropic support. 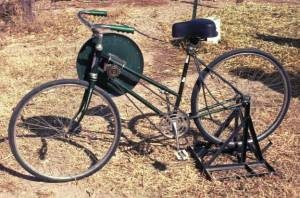 Easy words to write … what the progress entailed was a power-source from Alan and his partners’ constantly pedalling their bicycle. “The journey with the War Horse was not always nice or easy”, Alan noted explaining how the project took over his life 100%. Elaborating, he recalled the pressures of casting a horse for all horses that would do justice to the nobility, valiance, loyalty, service and sacrifice they unknowingly gave for the democracy we all enjoy today. This was a practical matter, more difficult were shifts in cooperation by some parties. The sparkle of energised Inspiration had run into the all-too-often cloying dynamic of established “power”. The situation drew forth in Alan two of his leadership attributes…. 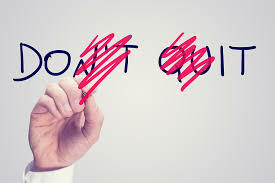 willingness to take tough action alongside a self- effacing humility to take on and resolve problems himself in order to keep the show moving. 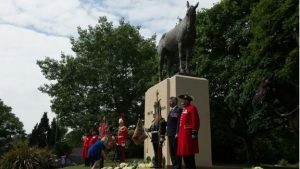 June 8th 2018 saw the unveiling of the War Horse Memorial to the public. Purple cloak swept aside by uniformed representatives of the Brownies and Girl Guides and Chelsea Pensioners. The Household Cavalry and Royal Artillery were in attendance along with Brough Scott whose Grandfather, General Jack Seeley rode Warrior, the most highly revered and decorated horse of the war – Warrior also happened to be a racehorse which is the indelible connection to the Memorial’s location. Wreathes were laid by the Lord Lieutenant of Berkshire on behalf of the HM Queen, by representatives from Commonwealth and other Allied countries, Royal British Legion and finally a wreath of Purple Poppies laid by Alan Carr and Susan Osborne. There were 100 small maquette bronzes also created of ‘Poppy’ – No. 1 was gifted and accepted by HM Queen, and No.10 by the Prime Minister at Downing Street. Now this Tale of the Imagination moves on beyond the world of Symbols and Ceremonies. There’s a full calendar planned by the War Horse Memorial of education, publicity and future fundraising. 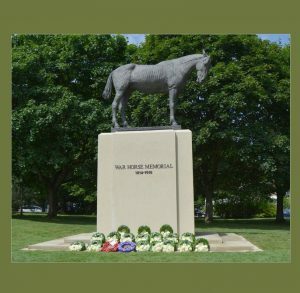 23 August has been chosen as the War Horse Memorial’s National Purple Poppy Day each year, a day which marks the Battle of Mons 1914 and the first Cavalry charge of the Great War where the first loss of equine life was recorded in battle. And we leave you Dear Readers with the picture of a million biodegradable purple poppies floating down over the Royal County of Berkshire Polo Club on International Day; purple poppies, the abiding symbol of the War Horse Memorial initiated by one man’s imagination, special women to help turn that dream into a reality and equally special family and set of friends who supported that dream from its inception. 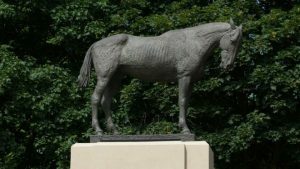 A memorial to war horses that lost their lives during World War One has been unveiled near Ascot racecourse. The bronze sculpture, named Poppy, has its head bowed with a string of barbed wire around its hooves. The Queen and the prime minister were among those who sent messages of support for the statue, designed by Susan Leyland. The ceremony was attended by representatives from Canada, Australia, New Zealand, America and France. Horses and soldiers dressed in World War One uniform and kit joined trumpeters from the Household Cavalry Band to mark the occasion. The War Horse Memorial team said millions of UK, Allied and Commonwealth horses, donkeys and mules had helped the war effort and lost their lives. The memorial has taken more than four years to complete, with the £300,000 cost of the statue paid for by funding from both public and private donations. Organisers said the statue is a visual part of an “ongoing fundraising campaign to support military and equine charities”. 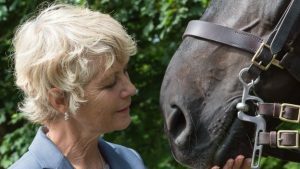 The bronze sculpture of a horse – emaciated, head bowed in sorrow for fallen comrades, with a tangle of barbed wire lying at its hooves – was designed by sculptor Susan Leyland and will appear on the Heatherwood roundabout close to the famous racetrack. The statue was cast at a foundry in Scotland, weighs 1.5 tonnes and stands 8ft 6in (259cm) high atop a 9ft (274cm) plinth of Portland stone.